Samsung's recent spate of Apple-mocking advertisements has continued with the latest Galaxy S II ad poking fun at those queuing for Apple's latest products being 'Samsunged' by the Android handset's vast array of features. The closest rival to the iPhone's mantel as the most popular handset on the market the Samsung Galaxy S II has sold well since launch last year with more than 5 million of the devices reported to have been shifted in Samsung's native Korea alone. 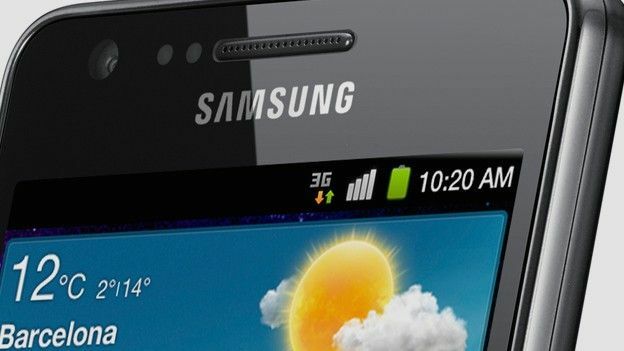 Having targeted its Cupertino based rival on a number of occasions in recent months the Samsung Galaxy S II's turn-by-turn navigation features are touted as iPhone toppling credentials in the new ad that takes a swipe and the iPhone 4S's battery issues and iPhone 4 replicating form factor. Making fun of those who queue throughout the night to be amongst the first to pick up the latest portable Apple gadget the new advert shows fanboys being 'Samsunged' by the supposedly superior potential of the dual-core, 8-megapixel camera boasting Android smartphone powerhouse. Whilst the humorous and heavily mocking tone of the S II ad could be seen as nothing more than Samsung rearing the green eyed monster of jealousy it follows a Samsung Galaxy Tab advert that saw the Korean firm showcase its tablet in an almost identical manner to previous Apple iPad ads, going so far as to feature the same actress. Have Samsung's Apple-ribbing adverts gone too far, should the Samsung Galaxy S II creator put more effort into producing better products? Let us know what you think via the comments box below.